The adjective 'chronic' is often associated with back pain, be it of the cervical, thoracic or lumbar spine. 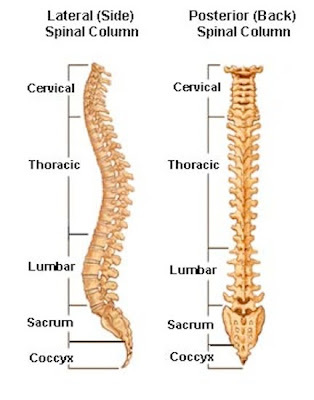 If we appreciate that the spine is the relay station in communication with each nerve plexus, (re: Nerve Plexus: http://en.wikipedia.org/wiki/Nerve_plexus) and associated organ systems, we certainly can appreciate that spinal health is core to well being. When a 'back pain sufferer' is referred to me, one's medical history and treatment history is taken into account before any of the services and procedures of APOGEE Acu-Tone™ are suggested. Often it is stated, "...I have tried everything... nothing seems to help... it may help for a day or so... but the pain always comes back." I have gone on to explain that a 'quick fix' may be just that. I emphasize how important it is to understand cause and effect, as it relates to our habits of movement, our mindfulness, our belief systems, our emotions, our attitudes, our eating habits, our perceived stressors, all influencing in their own special way the signals given to our body. Our body is ever in response to the myriad of inputs it receives, moment by moment. Providing there is no counter indication, an APOGEE Acu-Tone™ Consultation is provided. Through the use of the body's own bio-feedback responses, each nerve plexus, also known as a 'chakra,' is assessed for its relative strength and resultant flow of energy. The findings of this evaluative experience, guides the APOGEE Acu-Tone™ process. Vibrating calibrated tuning forks are placed on spinal, cranium, acupuncture and meridian points of the body. Tones are specific to the particular nerve plexus and vertebra. Through the process of entrainment, pain is relieved, energy flow is balanced, stressors are reduced, and a reported sense of relief and well being are brought forth. I am pleased to report the consistency of benefits stated by those who have experienced the APOGEE Acu-Tone™ process. I welcome your perusal of posted testimonials. Yes, APOGEE Acu-Tone™ has been welcomed for its relief of pain brought to those who have suffered, "chronic back, neck and shoulder pain." Unity, accord, entrainment, the inherent potential and effect of sound upon body, mind and substance. These the very principles known by ancient cultures. Sound as the voice of Creation, respected, harnessed and used to build, to move, to structure. These principles lived in all aspects of development by the ancient Egyptians. Sound known as primal power, as form, as structure, as cell communication within all living forces. The principles of sound/vibration known and cultivated to serve mankind by ancient Egyptian, Chinese and Indian cultures, are integrated into the processes and practices of APOGEE Acu-Tone™yes, ancient teachings in modern day application. When we experience discomfort, pain, tension, or a malady, it is the body’s way of alerting us to need. Every cell, every organ, every system, has its particular communication. Communication can be balanced, flowing, bringing a feeling of wellbeing. Communication can be blocked, responsive to need, and experienced as a myriad of symptoms. Cell communication is the key to healthy function. Cell communication is a vibratory message. There is an inherent intelligence for survival. It is the intelligence of the cell. Our moment to moment feeling is the summation of what signals each cell, each organ, each system of our body. APOGEE Acu-Tone Spinal Resonance™ is based on the principle of entrainment (biology: of a rhythm or something that varies rhythmically) cause (another) gradually to fall into synchronism with it. ) The restorative frequencies are applied via the application of two tuning forks on two specific corresponding points. Such a process brings the restorative frequencies in communication, opening the blocked pathways, as one point application entrains with the other point application. There is a feeling of deep relaxation, pain and stiffness are eased, a new sense of energy is experienced. All will become clear as the process takes place. William Wordsworth (7 April 1770 – 23 April 1850) was a major English Romantic poet. Diane wrote: "Inventor Thomas Edison said: "The doctor of the future will give no medicine but will interest his patients in the care of the human frame, in diet and in the cause and prevention of disease."" Indeed so... and it has been foretold that SOUND is to be the medicine of the future. Sound therapy manifest the power of sound and the ever magical effect that music has in all living matter. The first instrument that humans used was the voice. Chanting has powerful effects and produce changes when it is adopted as a discipline. Me personally rather have sounds that can produce entrainment into my brain.